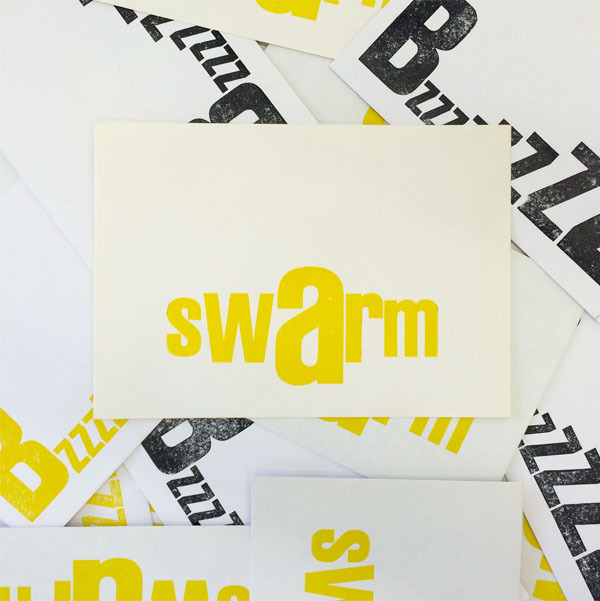 Just returned from two weeks in Basel working at Druckwerk print studio with 13 international artists, creating work for the theme of SWARM. Exhibition was held 22th - 24th July at Kaskadenkondensator gallery in the same Warteck building - an old brewery now housing a myriad of creative practices. 13 international artists and a film maker (from Australia, England, Japan, Germany, Indien, Cuba, Norway, Sweden, Switzerland, and the US) present works on a common theme, completed during the 5th annual Print Residency at druckwerk studio in Basel, Switzerland.